Professionals: Isn’t it time to take LinkedIn Seriously? With well over 330 million members on LinkedIn and the one primary social network for professionals, I am amazed at the number of requests for LinkedIn services that I receive weekly to connect with people who have half-baked profiles! You know the ones who have a LinkedIn Profile with no picture or inappropriate picture, unimpressive headline, little or no details in their summary, none of the optional fields have been completed and worst of all no visible contact information. Professionals Its Time to Take LinkedIn Seriously – Either get in, or get out! LinkedIn is as much about brand reputation and brand management as it is about networking. As a top LinkedIn trainer and Minneapolis speaker, I believe now a poor, incomplete LinkedIn profile can actually do you harm professionally so if you don’t have any intention of improving your profile or utilizing LinkedIn I might suggest you remove your profile. I know that sounds harsh and yet I assure you, if you have one of those half-baked profiles I mentioned than you are being judged professionally should someone look you up. 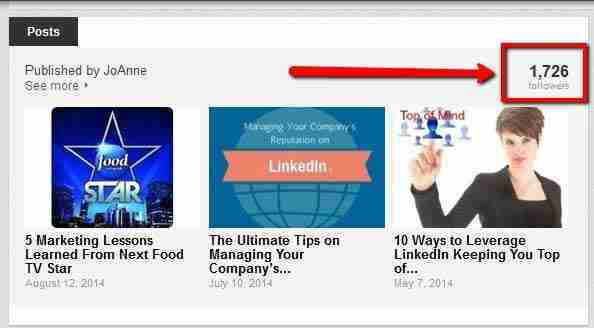 A better idea is to take it more seriously and read my exceptional tips for using LinkedIn. Come on with the picture! Hard to believe that in this day which the best digital camera’s right in your phone you can’t muster a current professional photo! No photo, outdated photo, wedding photo, vacation photo’s are doing your professional reputation harm. Would you take a professional seriously on LinkedIn who is pictured running on the beach? Sending the default is really a default move! If you want to make an great first impression, stand out from the crowd and actually connect with the right people on LinkedIn sending the default invitation won’t start you out on the right foot. You should always be more intentional and have a plan for inviting people to your network. Collecting name just to have some people on your LinkedIn account is a huge waste of time. 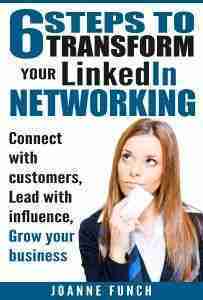 Check out my article on LinkedIn success is dependent upon your invitation. I can assure you I pay more attention to those people who take the time to tell me why they have invited me to their network, any mutual connections or interests we may share and why they want to connect with me. As a professional businesses should take LinkedIn seriously and I can assure you – the results will reward you handsomely. Okay, you say you are on LinkedIn because you want to meet more people, expand your network and generate leads but I search your profile and I can’t find an email address, phone number, website or any other instructions on the best way to reach you. Don’t assume that people will just email back and forth through the LinkedIn network, because isn’t it possible that someone see’s something on your profile they may want to pick-up the phone and call you right away? It not only is possible, but it has happened to me! In the classes I teach often the attendees tell me that either they don’t know what to post in their status updates or they are afraid to post something wrong. Part of networking and being found is actually engaging with people and showing that you are a credible connection. You can do that by posting status updates with content such as your blog posts, a relevant article that someone has written that your network would find value in, updates on relevant things happening at your company, a job position that may have become available and that is just to name a few. When someone from my target audience invites me to join their network or if I invite them, I will often go directly to see their recent posts. WHY? It gives me an immediate way to connect with them through a comment on something they posted. It shows my interest in them as a connection and starts to build relationship. Being anonymous will get you no where! Want to learn more about engaging vs lurking, check out my services on for Building Professional LinkedIn Company Pages. We all know people who are takers, those folks that don’t ever offer anything to help you. I encourage you to find out how you can help people. The more people you help I assure you comes back so many times over. The world is filled with the “What’s in it for me” folks and less of us offering to add value and be helpful. You will stand out from the crowd if you adopt the attitude of giving. I challenge you to ask 10 of your contacts this week how you can add some value to their life, introduce them to someone or comment on an article they posted and share it with your network. Life may be going great in the office where you have a great reputation, but what about in the online world? Social Media is more than just a shortcut to building your business relationships, it merit a long-term plan to meet face-to-face for the best means to build your professional image. But get started. Take LinkedIn seriously and build your reputation online. When someone views your LinkedIn profile the first thing they see if your headline and if that is interesting they will scan down to your summary section which should be located directly below that. Ideally your headline should be compelling and contain some key words for what you want to be known for, couple that with what makes you interesting. You can expand on the interesting details in your summary section. Note to job seekers, never put the words “Unemployed” or “Seeking Opportunities” in your headline, if you are seeking new employment put some words that best describe your skills and position you are seeking. What does your headline say about you? LinkedIn has provided us the opportunity to add multi-media to our profile making them much more inviting to the reader. 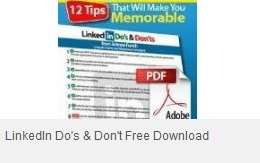 You can add images, video and PDF. You can also add a hero header image to further brand yourself. This may not be available for all free accounts as of yet, so if you don’t have that option it is coming. There are so many creative ways to use images, see what others are doing and get creative! Join the movers who are have decided that as professional businesses should take LinkedIn seriously.